Home of the S4C International Exhibition of Photography - now in its 53rd year! 2018 S4C International Exhibition now complete! The S4C 2018 International Exhibition is now complete. HM Certificates have been emailed. Medals were mailed August 30th - may take several days to several weeks to arrive! Please email s4cex-info@pcms-photo.org regarding missing scorecards etc. Thanks for entering. See you next year! 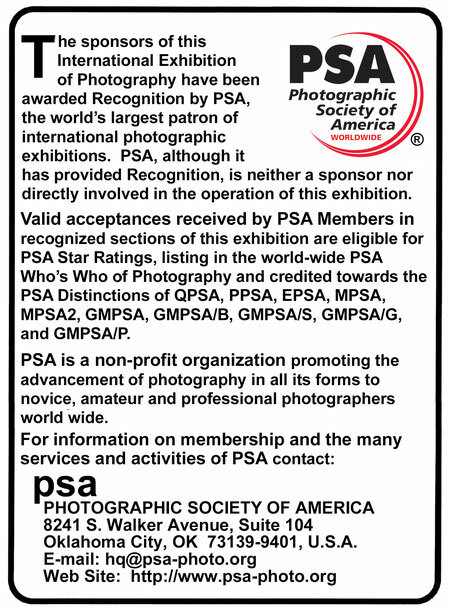 The S4C International Exhibition is sponsored by the Southern California Council of Camera Clubs (S4C). Please be sure to read the Conditions of Entry before entering! 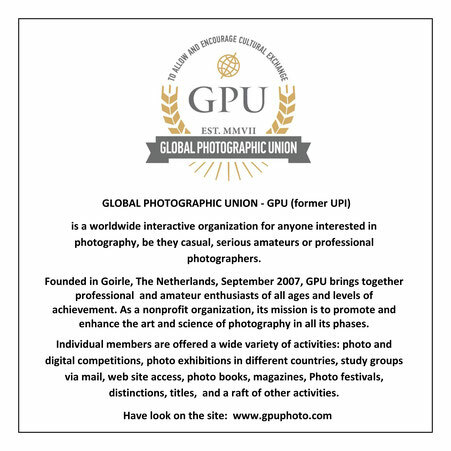 Scroll down for Contacts, Divisions, Calendar, Fees, Judges, Awards, Recognition Statement, and Image Size. View Catalogs and Galleries of prior Exhibitions. Judging will be completed by August 24, 2017. Entrants will be notified of results shortly thereafter. Entrants may still log in to update personal information or to retrieve report cards. See Conditions of Entry. Click here to enter. Thank you for all your entries into the S4C 2017 International Exhibition of Photography. View catalogs of our previous international exhibitions of photography.